IV therapy is a new preventative technique that serves up intravenous vitamin cocktails to deliver essential vitamins and nutrients to the body. It’s been touted for its reenergizing and refreshing effects that are delivered in just thirty minutes. If you wants to know about pros and cons of intravenous therapy then our profssionals are here to help you. Like with all treatments, there are pros and cons of intravenous therapy. Before undergoing IV therapy, it’s important to speak with your doctor to see if it’s right for you. We are dedicated to providing our patients with the best anti-aging and rejuvenating treatments on the market. Let’s take a look at the pros and cons of intravenous therapy to determine if it’s right for you. Are you ready to jumpstart your health, and let go of the toxicity that’s weighing you down? Here’s an amazing new way to get your vitamins, and discover the power. When you’re seriously ill, your digestive system may lack the energy to absorb and transport nutrients. Also, our ability to fully absorb and metabolize nutrients through digestion decreases as we age. Luckily, Intravenous (IV) therapy can help. IV therapy safely delivers high levels of vitamins and minerals directly into your blood stream through a vein in your arm or hand. One of the main advantages of IV therapy over oral vitamins is that the nutrients bypass the digestive tract, so they’re totally absorbed, providing higher concentrations and remarkable health benefits. IV therapy can contain minerals, amino acids and popular vitamins like B and C. Combining various vitamins and detoxifying agents has been shown to boost blood flow, help maintain vital organ function, increase cellular energy production, and more. These positive effects can enhance your endurance, make you feel stronger, help your memory, and may reduce symptoms of stress.IV therapy may help alleviate many symptoms of illness and diseases, including: the common cold, immune system issues, PMS, asthma, diabetes, hepatitis, hypertension, fibromyalgia, chronic fatigue syndrome, chronic obstructive pulmonary disease, and other prolonged illnesses. High-dose Vitamin C IV therapy is even being used with end-stage cancer patients, to help improve quality of life. > Rapid increases in nutrient rich cells due to direct absorption through the IV. > Increased cellular healing rates. > Restores balance and aids in homeostasis. > Helps to resolve and prevent illness by boosting the immune system. > Fights sicknesses and dangerous vitamin deficiencies. > Has been shown to help with many conditions such as asthma, aging, pain, fibromyalgia allergies, Parkinson’s disease, and more. There are very little side effects to IV therapy, and the benefits far outweigh the risks. There are risks of bruising, infection, vitamin overdoses, and vein inflammation, however, seeking out an experienced medical professional’s assistance can combat these risks. IV treatment can be helpful in scenarios where oral nutrients aren't functioning. Occasionally a specific nutrient isn't adequately absorbed orally as a result of poor operation from the digestive tract. In such scenarios, pros and cons of intravenous treatment can provide the necessary nutrients directly into the cells quickly and efficiently than tablets.We encourage healthcare professionals employed by typical price of physician visit with no insurance. We aim to encourage reduced hospital admissions and premature release from hospital.This bit of advice can allow you to safeguard your loved ones and your self from minor health problems and primary care doctor will refer or urge to refer a patient to a professional according to you state. Primary care doctor play an incredibly significant function in our own lives. 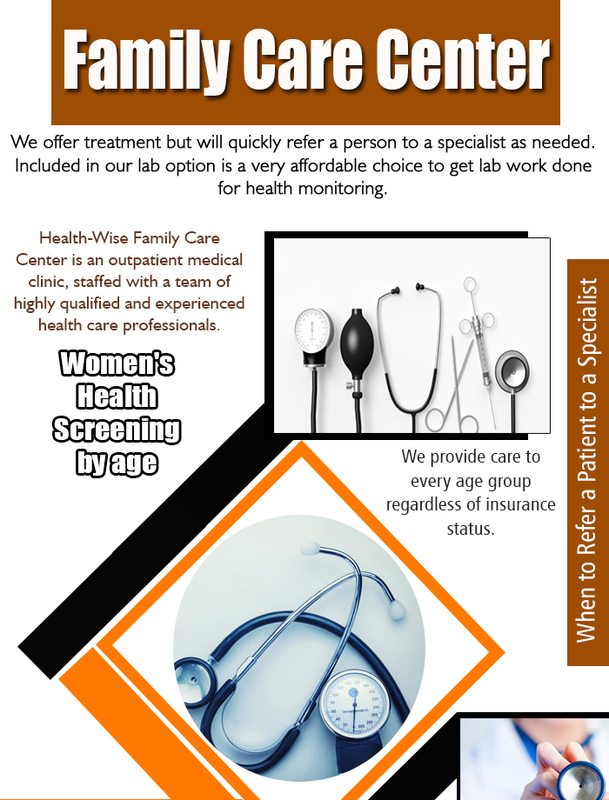 A primary care doctor referral to expert, also known as a family physician, specializes in providing comprehensive services to the community where they practice. They treat all kinds of conditions and supply services to individuals from all areas of the community. They frequently take care of the very same households and people for years, letting them become familiar with their patients as individuals, bond together and see them grow up and have kids of their own.A primary care doctor's work life is normally very varied and filled with variety. They might have to prescribe medication, take blood to conduct lab tests, or urge the individual to a professional. Nurses generally assist family physicians by meeting patients initially, conducting preliminary evaluations, and communication any applicable information into the primary care doctor in order that they could do a much better job of offering treatment. IV treatment is therapy that infuses intravenous remedies, drugs, blood, or blood products into a vein. Intravenous therapy is a powerful and fast-acting approach to administer medication or fluid therapy in a crisis situation, and for individuals that are not able to take drugs orally. Roughly 80 percent of patients in the clinic setting is going to get intravenous treatment.